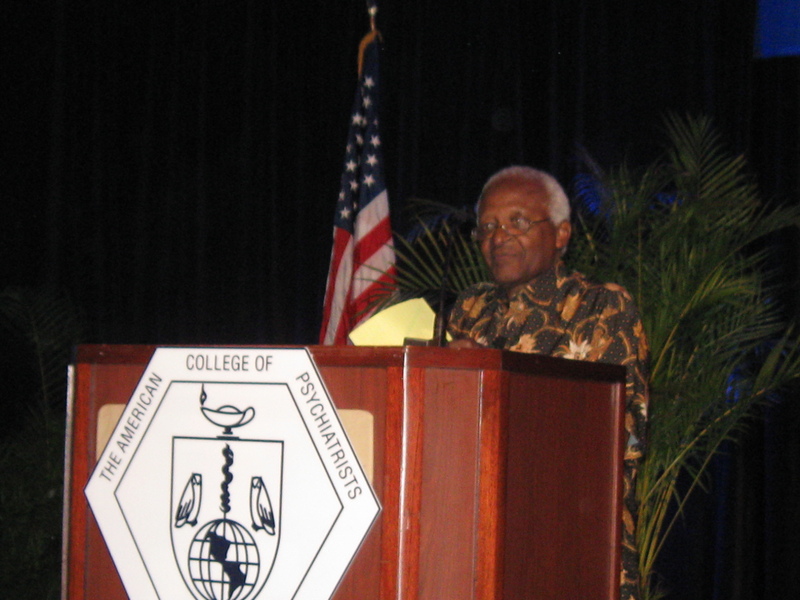 From the annual meeting of the American College of Psychiatrists, Ft. Lauderdale, Fla.
Getting Archbishop Desmond Tutu as your headline speaker is a coup for any medical society, but it also turned into an incredibly powerful pep talk. The Arch, as he was introduced, recalled some of the personal stories he heard presiding over South Africa’s Truth and Reconciliation Commission. It was 20 years ago this month that the world was rocked when then-South Africa State President F.W. de Klerk announced the demise of apartheid and nine days later, Nelson Mandela was freed after 27 years of incarceration. Archbishop Tutu told of Fulbright scholar Amy Biehl who was killed by a crowd of angry young black men and of white soldiers who casually sat down to a BBQ after setting a black man on fire. Although the commission did not require perpetrators to express regret or remorse, almost all did, he said. There wasn’t a sound among the 500 or so psychiatrists packing the hotel auditorium, but you knew they understood that power. Kid-friendly stickers and suckers have been mainstays in pediatric offices for years, but now obstetricians can offer their patients something even better – dark chocolate. 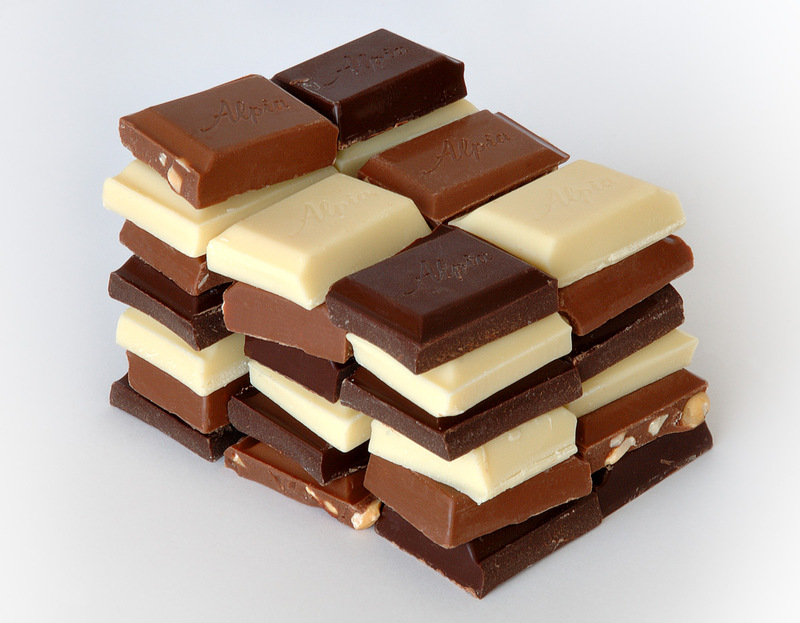 At the annual meeting of the Society for Maternal-Fetal Medicine, Italian investigators presented the first report showing that a “daily appropriate amount” of dark chocolate in pregnancy improves pregnancy metabolism and decreases the risk of anemia. They defined “appropriate” as 30 grams per day of chocolate with 70% cocoa content. While this definition wouldn’t fly with most chocolate lovers I know given that nine Hershey’s Kisses equal 41 grams, it seemed to do the trick. Blood tests showed that women fed dark chocolate beginning at 9-12 weeks gestation had a signficantly lower increase in blood cholesterol concentrations during pregnancy at 35.5% , compared with 56.5% for controls who were free to increase their diet with other preferential foods up to 300 Kcal/day. Oral glucose tolerance testing revealed no alterations in the 40 women in the chocolate group, while gestational diabetes was detected in 2 of the 40 controls. No women fed chocolate developed anemia in pregnancy, while roughly 65% of controls needed iron supplementation from 24 weeks onwards. “It is an appealing idea that a food commonly consumed for pure pleasure could also bring tangible benefits for health,” wrote lead author Dr. Gian Carlo di Renzo and his colleagues at the University of Perugia. The authors note that it’s been more than 10 years since the first mention in a medical journal about cocoa and chocolate as potential sources of antioxidants for health. Chocolate contains more than 600 chemicals including flavanoids, which are known for their potent antioxidant and anti-inflammatory effects. Recent randomized studies have shown clinically important cardiovascular effects of dark chocolate including correction of endothelial dysfunction and reduction of blood pressure. A recent study from Yale University showed that pregnant women who ate five or more servings of chocolate per week had a lower risk of preeclampsia than those eating less than one serving per week. In the current analysis, blood pressure values were lower at all time points among women eating chocolate when compared with controls. At the final check up, systolic BP and diastolic BP in controls were increased in controls by a mean of 8.32 mmHg and 3.76 mmHg, respectively. Importantly, the 160-calorie dark chocolate treat did not affect weight gain during pregnancy. Cesarean section rates were also equivalent at 32% in both groups. Not surprising, patient compliance was nearly 100%. 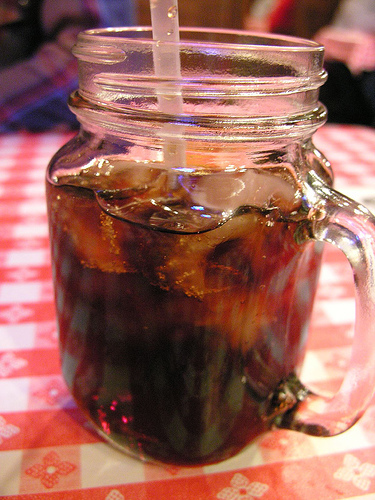 Under fiscal pressure to make ends meet without raising its dues, the American Academy of Family Physicians has inked a consumer alliance with the Coca-Cola Company. At a town hall meeting held the opening evening of the Congress of Delegates, AAFP President-Elect Dr. Lori J. Heim unveiled the deal to angry members: Under a 1-year contract, the beverage company will pay AAFP a “strong six-figure sum” (around $600,000, rumor has it) to provide consumer education materials on, you guessed it, beverage choices for the academy’s Web site. The aim is to provide evidence-based, health-related information about sweetened, unsweetened, and artificially sweetened beverages. 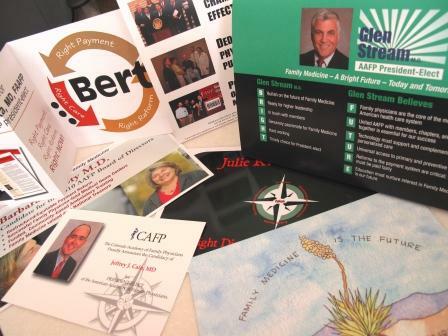 No specific brand names are supposed to appear, and the AAFP will maintain 100% editorial control, Dr. Heim stressed. “I have had patients who’ve gotten better when they quit drinking Dr Pepper.… The evidence on this is clear and consistent. The single biggest contributor to the obesity epidemic is sugar-sweetened beverages,” said Dr. Robert Rauner, president of the Nebraska Academy of Family Physicians. The AAFP’s “guilt by association could be a problem here,” he said adding that the tobacco companies have waged similar consumer education campaigns as a means of a makeover. Several clearly frustrated members took to the mic on the congress floor to express their concern about the AAFP tarnishing its image, especially while the stakes are so high and given the academy’s strong push for a health care reform bill acceptable to family physicians and their patients. Dr. Heim urged members to take a wait and see approach and reserve judgment until the materials are up on the site. “It may be something that you actually don’t find to be appalling,” she said to a room of collective laughter. I met President Obama’s surgeon general nominee Regina M. Benjamin in 2005 in Washington at an AMA conference for science reporters. I recall other speakers, but I vividly remember Dr. Benjamin’s words, which I summarized in a page 1 story for the Dec. 15, 2005, issue of Family Practice News. Her story provides the strongest endorsement I can imagine for the use of electronic medical records. In fact, Katrina was not Dr. Benjamin’s first major storm. In 1998, her clinic was destroyed by Hurricane Georges. She had been renting space in a low-lying area when Georges hit and she lost everything. After that, she rebuilt her clinic on higher ground—and on 4-foot stilts. That worked well until Katrina’s 25-foot surge. From her previous experience with Georges, she knew that she needed to empty the office in 48 hours to prevent serious mold. She and her staff removed it everything, leaving nothing but the wooden beams, roof, and ceiling. Paper records were put outside to dry in the sun. That’s when she knew that electronic medical records were not a luxury but a necessity. “After Hurricane Georges, I knew I wanted to get an electronic health record, but I couldn’t afford it. This time, I can’t afford not to. Even if we have to go into debt, we have to get one because it’s essential for our patients’ quality of care,” she said in 2005. In Obama’s introduction of Dr. Benjamin as his surgeon general nominee today, he recited her impressive achievements: the first black woman to be named to the AMA’s board of trustees, president of Alabama’s State Medical Association, and a recipient of the MacArthur Genius Award. But, he added, “Of all these achievements and experience, none has been more pertinent to today’s challenges or closer to Regina’s heart than the rural health clinic that she has built and rebuilt in Bayou La Batre.” Indeed.